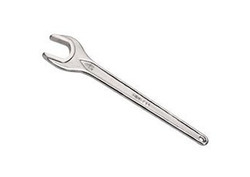 Our range of products include double open end spanner, tubular box spanner, bent gas spanner, chrome plated spanner, combination spanner and deep offset ring spanner. 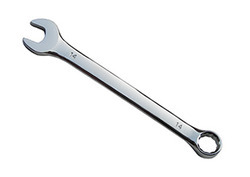 We are an eminent name, which is engaged in delivering Double Open End Spanner to our clients. The offered range is designed & developed utilizing high grade raw material and highly modern machines in strict tandem with the industry laid norms and standards. Along with this, the offered range is suitably checked on different parameters to ensure that defect-free products are delivered at clients' premises. 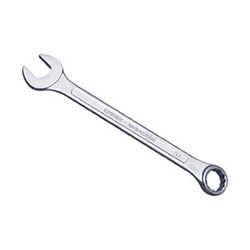 We are reckoned as major entity engaged in manufacturing modern day Tubular Box Spanner. We have designed the most useful tool to fix nuts placed in hard to access areas. Our offered box spanner features six-sided sockets on both ends and a sturdy tommy bar that are fabricated out of heat treated carbon steel. 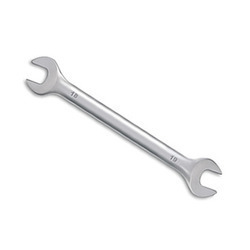 Further, our prestigious clients can avail this highly used spanner from us in chrome plated or zinc plated finish. We are well known enterprise engaged in providing revolutionary Bent Gas Spanner. Used to connect regulators to gas bottles, these spanners are widely appreciated for its heavy duty performance. These spanners are developed from forged carbon steel with heat treated technique and can be ordered from us in tempered chrome plating. 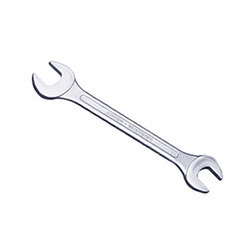 Our vast technical excellence has enabled us to provide highly advanced Chrome Plated Spanner. This double ended ring head spanner is widely used to provide firm grip in jointing nuts and bolts in various shelf construction and mechanical applications. We have used hardened and tempered carbon steel material to fabricate these spanners that can be availed form us in 6, 8 and 12 pieces set. We are a renowned organization, which is engaged in offering Combination Spanner to our clients. The offered range of combination spanners is available in customized designs, colors, shapes and sizes to append and respond to the diverse demands of respectable clients. Along with this, the offered range of combination spanners is designed utilizing high grade raw material and modern techniques in conformation with the highest quality norms and standards. Owing to the expertise of our professionals, we are at the forefront of manufacturing high performing Deep Offset Spanner. These double ended bolt shape headed spanners are widely utilized for its versatility in scaffolding fittings. Our offered spanners are developed from heat treated chrome vanadium steel and confirm to the DIN 838 manufacturing standards. We have gained immense expertise in delivering Elliptical Pattern Spanner to our clients. The offered range of elliptical patterns is available in different designs, shapes and sizes to cater to the diverse requirements of esteemed clients. Along with this, the offered range of elliptical patterns is suitably checked on number of characteristics to ensure its conformation with the benchmarks of quality. Backed by the rich experience and a competent team of professionals, we are able to offer Ring Spanner. The offered range of ring spanners is suitably inspected in varied characteristics to ensure its adherence with the highest quality norms and standards. Along with this, the offered range of ring spanners is available in different designs, shapes and sizes in accordance with the diverse requirements of esteemed clients. 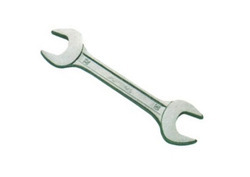 We are actively involved in manufacturing highly demanded Satin Finish Combination Spanner. We have the best suited tool to apply maximum torque in scaffolding systems and various construction and workshop applications. 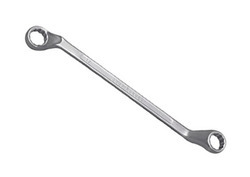 Our offered spanner features a ring ended and an open ended head that is developed using 31 CRV3 Chrome Vanadium Steel as per the DIN 3113 manufacturing standards. 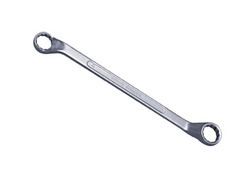 We are counted amongst the well recognized manufacturers for our superior quality Short Series Spanner. We have developed this double ended open jaw spanner that is widely demanded for its ease of use in rotary fastening of nuts and bolts. Our offered spanners are developed from heavy duty material and can be availed from us in set of 5, 6, 8 and 12 pieces. Our technological adeptness has made us the pioneers of manufacturing leading quality straight gas spanner. These spanners are widely used to open and close the gas regulators in industrial gas cylinders of butane and propane. Developed from forged carbon steel, the offered spanner features 27 mm opening and can be availed from us at market leading price.